In this post, we will use the 1D inplace fast Haar wavelet transform to design a simple technique to detect edges in images. We will use OpenCV to do the coding. We will start with an implementation of the 1D inplace fast Haar wavelet transform. We can test this code as follows. If you work in RGB images, check OpenCV documentation for appropriate conversions. The cv::Mat structures consist of uchar rows and columns. 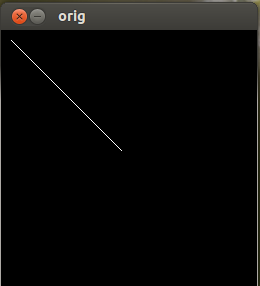 Hence, a simple function to convert a row of uchars into an array of doubles. The function, given below, that detects edges uses the highest frequency Haar wavelets computed in the current image row. The function goes through the image specified in the first argument row by row. It takes the wavelet bandwidth defined by the next two arguments: lower_theta and upper_theta. The fourth parameter, rv, specifies the value on the scale [0, 255] that we want a pixel to contain if that pixel contains an edge. 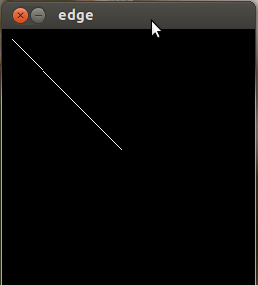 If the value of the wavelet is negative, then the current pixel contains an edge. If the value of the wavelet is positive, the previous pixel contains an edge. 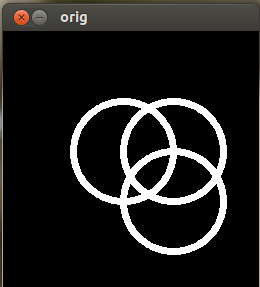 Now on to a few simple tools in OpenCV that we can use in our tests. One thing to keep in mind is that the length and width of each image must be equal to an integral power of 2. Otherwise, the Haar transform will not work. 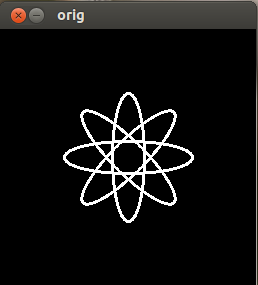 The first test, test01(), creates a grayscale 256 x 256 image and draws a line in it. The created image is shown in Figure 1 and is displayed with cv::imshow(). When the function haarDetectHorEdges is applied, the resulting image is shown in Figure 2. 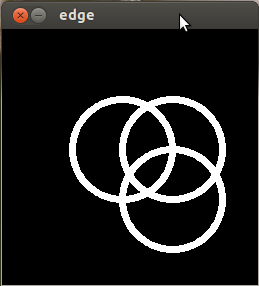 The second test, test02(), draws three white circles in a 256 x 256 grayscale image, as shown in Figure 3, and detects edges, as shown in Figure 4. 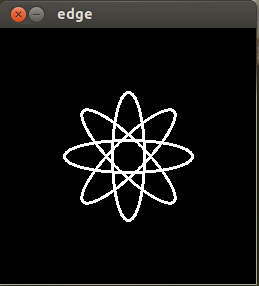 The third test, test03(), draws four ellipses circles in a 256 x 256 grayscale image, as shown in Figure 5, and detects edges, as shown in Figure 6. One final note. We have deliberately simplified our images to show how this method works. Grayscale images with a greater variety of pixel values will require more sophisticated thresholds and wavelet frequencies.